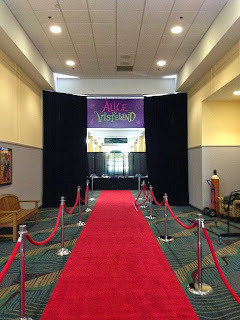 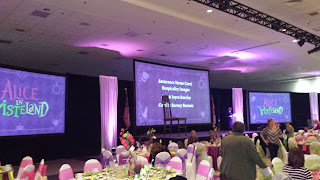 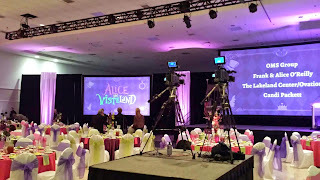 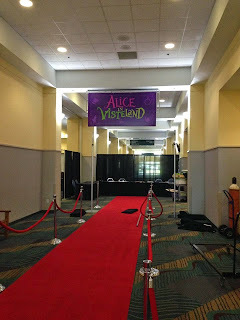 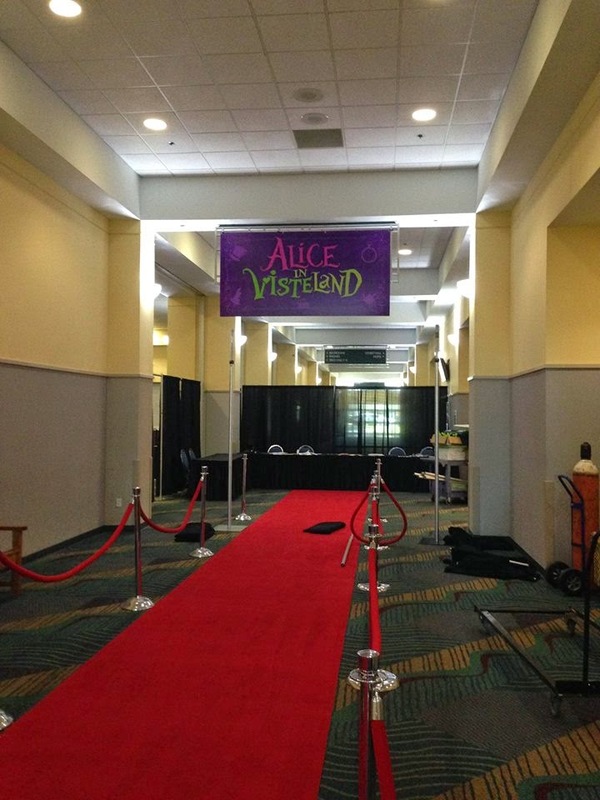 Viste put on a wonderful Retirement Party at the Lakeland Center for their director Alice. 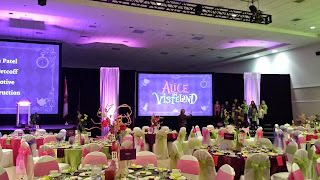 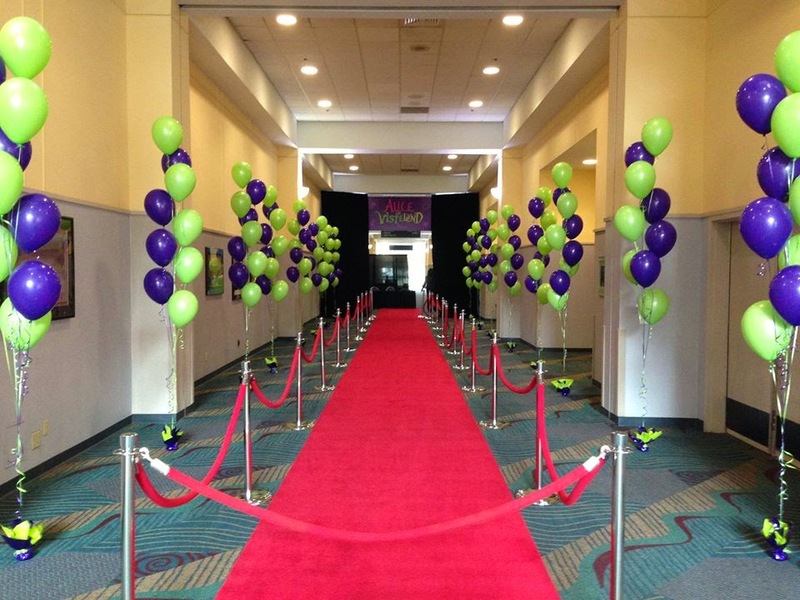 Party People Celebration company was contracted to provide balloons for the entrance and accent with some fabric decor on stage. 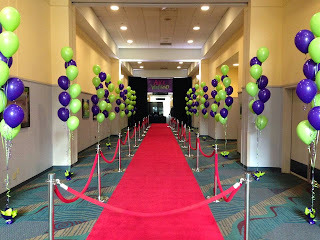 Hallway Entrance before fabric decor and balloons. This shows how frameing the entrance with a little black drape can make a dramatic difference in the space. White Sateen panels by Party People Celebration Company on the stage bring color and dimension to the stage when combined with up lighting.